The White House symbolizes the struggle of the American people for freedom, democracy and independence. Years ago, from this edifice, Abraham Lincoln courageously led the struggle for the abolition of slavery. Before that, during the independence war, the occupying forces burned it down to wipe it out from memories. But centuries later, it still stands. On November 1, 2013, President Obama will be hosting a man in the White House. 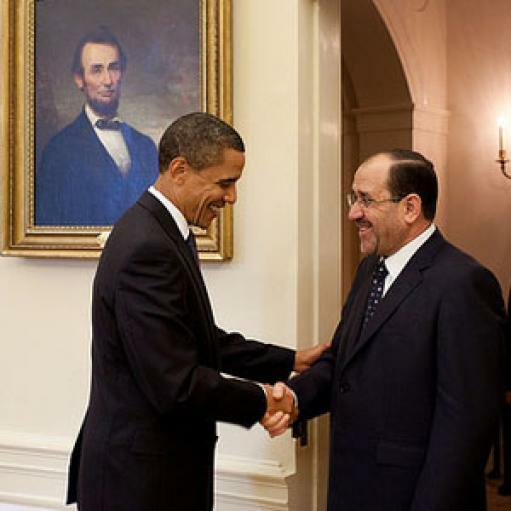 His name is Nouri Al-Maliki. Allow me to tell you a bit about myself. This isn’t a story; neither is it a memory or a tragic novel. It is the stark truth that not only I, but thousands and millions of my fellow compatriots in Iran face in their everyday lives. 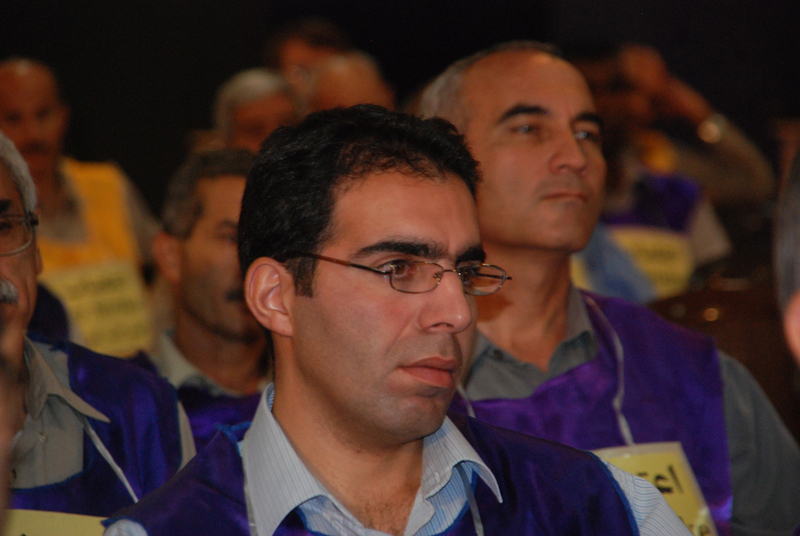 I wasn’t born in a hospital – I came to this world in the dark cells of one of the most notorious prisons in today’s world: Evin Prison, Tehran; my parents were arrested in 1982 for having supported the PMOI. I never saw my father, save for brief seconds on a windy autumn day. We never got to know each other. He was executed along with thirty thousand political prisoners in the summer of 1988. My mother spent 8 years in prison. I myself spent the first years of my life behind bars. I was released at the age of four, only after much effort by my grandfather. I still remember the day when my mother was being taken for interrogation to the torture chambers. She knew where she was being taken, so she left me with my aunt. A female jailer, whose face I still remember, grabbed my hand and violently threw me on the ground. I ran to my mother crying, and embraced her. I thought the circle of her arms was the safest place in the world, oblivious of her destination. I was pushed along with my mother to the torture chambers. It was a dark a cold cell. They violently separated me from her. I repeatedly called out her name while I watched her being dragged and strapped to a bed. I frantically tried to reach her, but the guards kept pushing me back. And then I heard a thin and terrible noise and saw the torturers lash the soles of her feet. I broke into tears from hearing her cries of pain. I wanted to help her out but there was nothing I could do; my tiny frame was no match for the hulking prison guards. It was only after they were done torturing her that they let me go to her. Her feet were bleeding. It was the first time in my life that I was seeing blood – I was terrified. But still, when she took me into her arms, I calmed down I there was no other place in the world that I’d rather be. In the years that followed, I went through the same experience many times. For years, the image of my mother being tortured filled my dreams. Later, when I was released from prison, I would distance myself from the other kids; seeing them with their parents only emphasized the absence of mine. This is just a glimpse of the realities of my country. I would never give in to living in such a state. When I grew up, like thousands of other young Iranians, I found my answer in coming to Camp Ashraf, Iraq, the beacon of hope for the Iranian people. In Ashraf, we were attacked by Maliki’s forces on many accounts. To this day, more than a hundred of my friends have been murdered by the Iraqi forces. All of them had life experiences resembling mine, and they had come to Ashraf to fulfill their dreams of freedom. More than a thousand others have been injured in these attacks, including myself. The United Nations and the United States asked us to move to Camp Liberty. The US Secretary of State told us that our security would be guaranteed in Liberty. But Camp Liberty ended up becoming a prison and worse, a killing field, and three deadly rocket attacks have left in their wake ten martyrs and scores of injured. And now, after the horrible massacre at Camp Ashraf on September 1st, in which 52 of my friends were murdered by Maliki’s forces and seven others were taken hostage, we have gone on hunger strike to have our voice heard by the White House: Free the seven hostages and provide camp Liberty’s security. We are now in the third month of our hunger strike. But now, instead of having our voices heard and echoed in the White House, the man who is responsible for the crimes in camp Ashraf is to be welcomed in this building, which has become America’s symbol of freedom and independence. Is this not an insult to the struggles of George Washington, Abraham Lincoln and all of the American people? Previous Previous post: How will history judge you, President Obama? Next Next post: How would you feel if you were in my place?